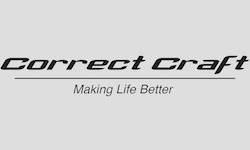 Orlando, FL (September 18, 2017) - Today Correct Craft announced that the company’s significant growth continued in the 2017 model year resulting in the best year in the company’s ninety-two year history. Correct Craft’s growth strategy resulted in each of its companies experiencing above market growth with an overall revenue growth for the 2017 model year of nearly 30%. The company expects the growth to continue in model year 2018 with sales expected to be upwards of $450 million. During the 2017 model year, Correct Craft acquired Bryant Boats to further round out its portfolio of boating manufacturers. Additionally, employees from Correct Craft companies participated in numerous service projects in both their local communities and internationally, including employee service trips to both the Dominican Republic and Haiti. Nautique Boats was honored with the 2017 Florida Sterling Manufacturing Business Excellence Award for demonstrating superior management approaches and role model results. Just last week, boating customers once again recognized Nautique as having the industry’s best wakeboard (5-time) and wakesurf (4-time) boat. Centurion Boats and Supreme Boats continue to experience significant dealer growth both domestically and internationally through their innovative product offerings, including the S202 (the first production towboat created entirely through vacuum infusion process) and the Ri257 (a Boating Industry’s 2017 Top Product). Centurion and Supreme were both honored to receive the 2016 Marine Industry Customer Satisfaction Index (CSI) Award for excellence in customer satisfaction. Pleasurecraft Engine Group has significantly upgraded their processes and plant, purchasing a state-of-the-art CNC machine and building a revolutionary new dynamometer laboratory. PCM’s H6DI engine powered three new waterski world jump records in the past year. Bass Cat and Yar-Craft have aligned with the Bass Zone and WON Bass Tour as the exclusive boat sponsor and signed several new dealers both domestically and internationally. Aktion Parks broke ground on its newest park, Elite Cable Park, while its original park, Orlando Watersports Complex was named the 2017 Water Sports Company of the Year by Luxury Travel Guide. SeaArk Boats is near completion of a significant expansion and restructure of their production facility to accommodate growing sales demand. Bryant, Correct Craft’s newest acquisition, is poised for growth with the introduction of its innovative new surf package for 2018. Bryant has also added new dealer partners in key markets both domestically and internationally. Correct Craft CEO Bill Yeargin stated, “I am incredibly proud of our team and both the growth and continuous improvement we are seeing at Correct Craft and each of our companies.” Yeargin continued, “I am equally proud of the “Making Life Better” culture we have built at Correct Craft and our companies. Our team has fully embraced our culture of using our resources to not only build the world’s best boats and engines, but also to help people in our company, our communities, and around the world. We have a very unique company and I am proud to be part of it!” Yeargin added.